“REST THB: Research, Support and Tools for the Fight against Trafficking in Human Beings in Malta, with a particular Focus on Refugees” has the overall objective to contribute to the prevention of and fight against trafficking in human beings (THB) in Malta. Specifically, it aims to develop research and tools and to reinforce networks that will strengthen stakeholders’ capacities for informed interventions in the fight against THB in Malta, based on needs assessments conducted with those same stakeholders, as well as to inform refugees concerning risks, prevention and support mechanisms regarding THB. 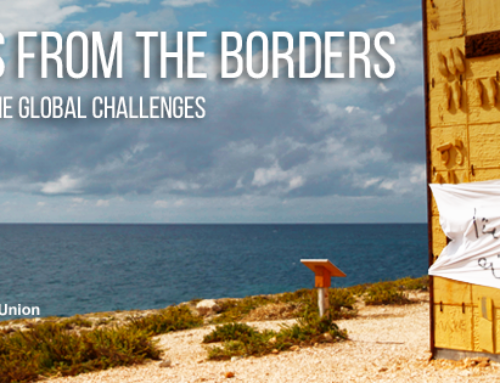 (A.1) Desk and field research will be conducted on the state of affairs concerning THB in Malta. (A.2) Information material will be developed – in collaboration with survivors of THB in Malta (to ensure relevance); the information material will contain information for frontline workers about identifying THB as well as indicate available services for actual THB victims. The material will be translated into the relevant languages spoken by potential and actual THB victims identified and disseminated to frontline agencies. (A.3) The material will also be disseminated during a series of awareness raising sessions on THB provided to asylum seekers and refugees, focusing on risks, prevention and support. (A.4) Furthermore, Kopin intends to strengthen and expand the links to its existing network of key stakeholders in the fight against THB in Malta, by means of periodic information sharing and regular face to face meetings. With decision-makers, these networking meetings will be coupled with advocacy actions, making a case for the improvement of inter-agency collaboration, the need for more effective Standard Operating Procedures (SOPs) and the protection of victims from both outside threats and those that may come from within support agencies. Primary direct beneficiaries will be asylum seekers and refugees who are potential and actual THB victims and who will be receiving information by means of outreach sessions and information developed, whilst also benefiting from enhanced protection and support services from Maltese authorities. Secondary direct beneficiaries will be Maltese stakeholders involved in the fight against THB, who will benefit from the findings of the research, the project leaflet, as well as the networking and advocacy activities. In the wider context, this project contributes to Kopin’s efforts as a key civil society stakeholder in the fight against THB. REST THB is financed through the Julia Taft Refugee Fund of the United States Department of State, managed by the US Embassy in Malta. NB: In this context, the term ‘Refugees’ comprises asylum seekers, persons benefiting from international and national forms of protection as well as rejected asylum seekers who at the time of project implementation are residing in Malta.